The Shadow of Death is the opening cinematic for Diablo 3: Reaper of Souls, the first expansion for Diablo 3. It's also the only cinematic in the expansion with pre-rendered CG. The rest of the cinematics employ the 2.5D storybook approach for the art. Sometimes the thing that you love the most is the thing that ends up on the cutting room floor. I think every filmmaker and editor knows that the thing that you started out with, the little nugget that you thought, "oh this is the heart of my piece," almost always ends up being tossed out at some point. Because you find something better. You find something that's more organic, that makes more sense, that solves more problems. And sometimes the story, if you let it, will lead you to some unexpected places. That's usually where the good stuff is. The music throughout the Diablo series is iconic. 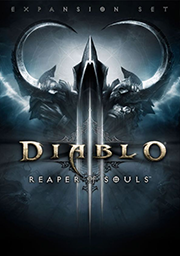 And for the Reaper of Souls expansion, Derek Duke and the crew worked to create something that fit within that universe but still evoked a different mood for the new adventure. The music is sombre, emotional and very much about death. It compliments the seriousness and beauty within both the cinematic and the game itself. In the following video, you can see the storyboards, color script and the final rendered version together. At BlizzCon 2013, Blizzard held a cinematics panel that discussed the making of The Shadow of Death cinematic. It's about an hour long, but there's a lot of information on every part of the process.